Always thinking ahead, Bingo Avatar is passionate about growing right along with technology. Remaining stagnate isn’t a option for this busy team of developers nor should it be for the bingo player who wants contemporary, thrill seeking adventure. The pretty backdrops of purples accent every page at Bingo Avatar encouraging wealth and prosperity for all who enter. Upon registration each player will have a fun avatar to represent their profile. Bingo Avatar has the right approach with a “for the player” policy. Putting the customer front and center is a good business practice and places the player first. It is one of the positive ingredients in the mix for happy and satisfied customers. Since 2004 the passion and energy has never wavered and is at the heart of the brands within the 123 Bingo group. With Parlay software at the helm of dynamic products, it has propelled Bingo Avatar in the right direction of accomplishment. There is a strong base of customers worldwide including US players who are welcomed. Owned by Emoney Processing, the site is one of 5 owned with a license in Costa Rica. An extensive portfolio of games leaves bingo players always stimulated and never bored. Bingo enthusiasts will enjoy two of the most popular bingo variations including UK’s most popular 90 ball bingo with three part games and the US 75 ball bingo favorite. Chat Games are hosted by the Chat Moderators offering an array of games where bingo bucks are up for grabs to the winners. Ticket prices originally started at .25 but have since been lowered .05 to allow a larger audience of players. 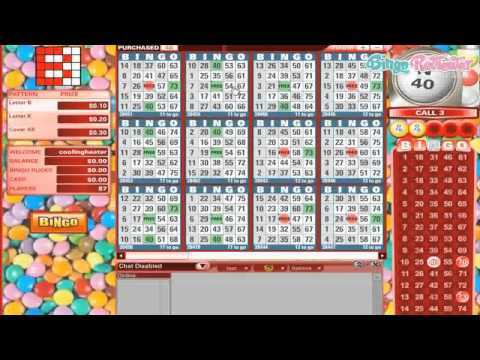 A Free Bingo Room is open daily where all games are free with cash prize awards. Progressive Jackpot Games can be found in the bingo rooms on randomly selected bingo games. A full casino is part of the Bingo Avatar excitement with Keno, Slots, Video Poker and Table Games for a wide range of wagering choices. One of the most exciting aspects of Bingo Avatar is the promotions. Always kept current and always bursting with motivational incentives that players enjoy. The No Deposit Bonus is always lucrative and players are instantly funded the first time they log in. Bingo winnings from this offer can be used to play any of the games found in the lobby. Deposit Bonuses are always available and it’s important to check your emails often for the latest bonuses. The Promotions page is broken down into 6 categories including Monthly Specials, Chat Act, Bingo Barrel, Raffle Dazzle and the Deposit Wheel. There are promotions that appeal to all types of bingo players fitting every style of play with lucrative offers. Weekday and Weekend Slot Tournaments are available. There is no entry fee, simply play your favorite slots and the top spinners will be rewarded with prizes. Taking an aggressive approach to evolve and make necessary changes along the way to keep players happy is commendable. Bingo Avatar continuous to stay contemporary with fresh new approaches in games and promotional offers. We rate Bingo Avatar with 3.2 Pink Hearts. I do like all of the purple they splash on the pages of Bingo Avatar. Not so sure I like the looks of Avatar's avatar, lol, but I'm getting used to it. What I really like about the site though are all of the new Christmas promotions. A "Bingo Binge" of promotions is being served up to the players at Bingo Avatar. They are giving away a gourmet food and snacks gift basket in the Lucky Number Raffle. In the Chocolate Room they are featuring a crafty theme where you can get $50 bb prizes for the themed patterns. The player loyalty program at Bingo Avatar features different levels for different bonus amounts with your deposits. They award loyalty points for every game you play, and if you are like me, those points really add up! You can trade them in for bbs and really extend your play time. They have over 50 online slot games at Bingo Avatar, so don't feel like you are limited to just playing bingo. The parlay slots are some of my favorites around, so that's where I'll be doing most of my playing. What's also nice about playing at Bingo Avatar are the free bingo, slots, and casino games for when you may not have any money to wager. It's always nice to be able to play on when you feel like playing. I hope you like Bingo Avatar and if you haven't been there, be sure and use the signup bonus available here! You have surely seen the Avatar movie, and now it seems you can see the bluish purple cat people everywhere. The site looks quite good, and it's definitely a good example how a good casino site could look like. No flashing banners, no ads and popping windows, just nice graphics and high resolution graphics, good for bigger screens. At the moment, there's a free $20 no deposit bonus, and even though I didn't manage to use it well and win some cash, I did get to see what do they have to offer. Still don't understand why they don't add some more games, but the regular 75 and 90 ball bingo, but they do have some really great slots in store. They even have some Raffle specials, and I haven't seen something like that for a while. They could use a mobile version of the site, since I know a lot of people who like to play straight from their tablets.